One of the hidden restaurant gems is ‘Ohana at Disney World. This restaurant at Disney’s Polynesian Resort serves breakfast and dinner on the top floor of the Ceremonial House. ‘Ohana Disney World features a family style breakfast with your favorite Disney World characters including Mickey Mouse, Pluto, Chip and Dale, Lilo, and Stitch. For dinner, the Hawaiian culture comes alive with an 18 foot firepit. Chefs cook your tasty entree of pork, chicken, steak, and shrimp. This all-you-can-eat dinner is served with chicken wings, ‘Ohana Welcome bread, noodles, and even bread pudding for dessert. Besides the delicious dinner, the view is just as amazing! 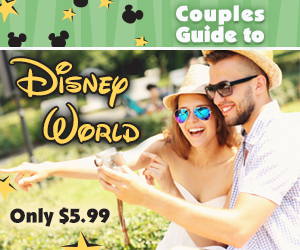 You can even get a spectacular view of Cinderella’s Castle, Disney’s Grand Floridian Resort, and the Seven Seas Lagoon. Enjoy a video tour of ‘Ohana Disney World! For more information about ‘Ohana at Disney’s Polynesian Resort, check out the next issue of Celebrations Magazine with a restaurant review by Allison Jones.